What is Mindfulness-Based Relapse Prevention (MBRP)? Mindfulness. It’s a word that gets around a lot lately but what exactly is meant by “mindfulness?” One of the first researchers in the United States to bring the term to the 20th century Western world is the author Dr. Jon Kabat-Zinn. In his seminal book “Full Catastrophe Living,” Dr. Kabat-Zinn tell us that mindfulness is simply “paying attention in a particular way: on purpose, in the present moment and nonjudgmentally." A tall order for many of us humans, perhaps especially those with addictive behaviors or other mental illnesses. Gratefully, mindfulness is one of the most important and simple (though not easily accomplished) gifts we can give ourselves in order to heal from societal and other harms we have endured. This concept in part led one of the world’s most important addiction researchers, especially in relapse prevention, Dr. G. Alan Marlatt (University of Washington at Seattle), to study what might happen if we combined mindfulness with a program to help people avoid a return to problematic behaviors (relapse). The results of the study culminated in the treatment, “Mindfulness-Based Relapse Prevention for Addictive Behaviors." 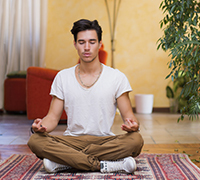 Mindfulness-Based Relapse Prevention (MBRP) is a treatment for preventing relapse in addictive disorders that integrates mindfulness meditation with standard relapse prevention practices, generally based in various cognitive-behavioral therapies (CBT). In traditional addiction treatment, clients are often encouraged not to think about their drug/alcohol cravings, as thinking about them may lead to one to use/relapse. It’s part of the old “beware the sleeping tiger” metaphor still taught in many treatment facilities today (comparing addiction to a sleeping tiger, just waiting to pounce upon the person the minute they let down their abstinence guard). MBRP instead challenges that concept. In MBRP, we are instead encouraging clients to accept that they will indeed have urges and cravings—it is normal—and instead, learn to roll with the cravings or “urge surf," as Dr. Marlatt termed it. Mindfulness-based stress reduction (MBSR; Kabat-Zinn, 1990). Mindfulness-based cognitive therapy (MBCT; Segal, Williams, & Teasdale, 2002). Relapse prevention work by Drs. Jon Daley & G. Alan Marlatt. The goal was to develop a curriculum that would be informed by participants, changing with each new group of consumers. There are 8 sessions in the protocol which is designed to be used in a group but can also be used individually. It is important to note that participation by members of the group (or individual) is essential, including home personal practice, for the best results. Some aspects of MBRP fit comfortably with overall 12-Step approaches. Concepts such as acceptance, letting go of personal control, and the use of prayer and meditation are hallmarks of 12-Step work. However, some ideas in MBRP do not fit so well. The idea of using labels to describe oneself (addict; alcoholic; being diseased), admitting one’s powerlessness, and looking to a Higher Power are some of the basic tenets of 12-Step that MBRP does not endorse. MBRP certainly supports abstinence for those individuals who chose such but does not insist on abstinence. It can be equally and beneficially utilized in reducing harm in problem behaviors as well as in moderation approaches. There is definitely a greater overall emphasis on the internal power of individuals (CBT) and less focus on what is often labeled a “relapse” in 12-Step approaches as well (MBRP might use the term ‘lapse’ depending on circumstances). 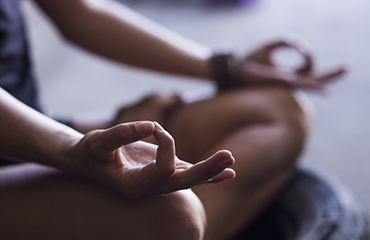 Repeat 3 times while gently and mindfully focusing on your breath. Dr. Kornfield was also the first person I heard speak of using a walking meditation rather than sitting quietly. As a person with a PTSD history, it was challenging for years for me to meditate until I found this walking idea. At its core, mindfulness is paying attention or focus: on what you’re doing, where you are, what you are putting into your mouth, veins, up your nose, etc., who you’re with, why you’re engaging in a behavior, and more. I like to ask current clients starting this process of becoming more mindful to simply notice what they are doing, with no judgment. Much like working on a budget, we can’t know where to start if we have no idea where the start is. This can be done by writing down drinks, using a smartphone to track one’s use/gambling/food intake, using a specific application, or putting a penny in your pocket for each time you engage in the behavior you’re trying to change (or any number of other options). It’s also helpful to make a note regarding the need for the behavior at the time, perhaps on a scale of 1-10 where 1 is little need and 10 is I have to have it right now. 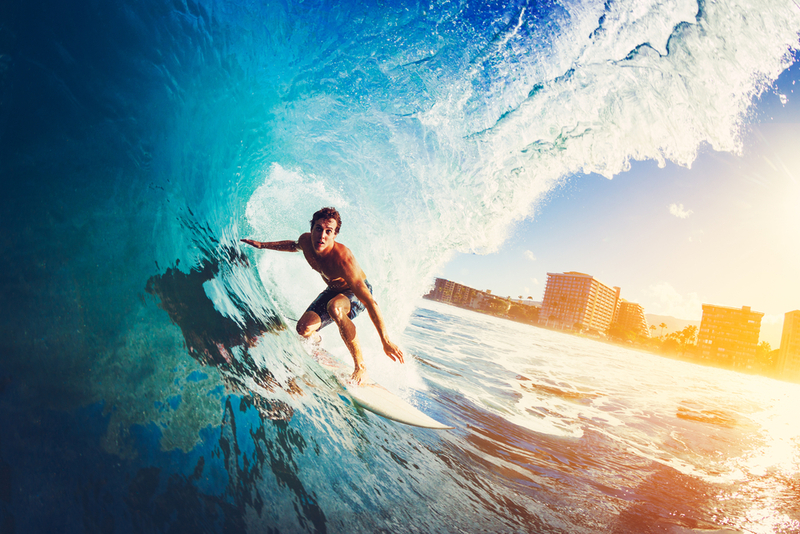 What did Dr. Marlatt mean by the term “urge surfing?” Essentially, he meant that all of us have urges and all of us can learn how to not act upon the urges that are harmful. Craving or urges are important information for us, not to be ignored but rather welcomed with compassion and understanding. One of my favorite sayings is that all cravings will pass in about 20 minutes regardless of what I do so why not be in charge of my actions? Hard to argue with such logic. MBRP was born out of the seminal work of Dr. Jon Kabat-Zinn and his mindfulness-based stress reduction with a good dose of general CBT’s and Dr. Marlatt’s own work in relapse prevention. It may be combined with a 12-Step approach in some ways though there will be times of discrepancy. MBRP was originally developed for group work though it may also be used with an individual, using the same basic curriculum but altering and adjusting it for each person and/or group as the authors intended. 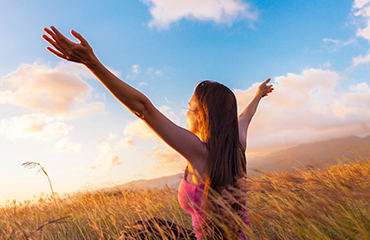 Developed by some truly exceptional patients at a recovery facility nearly 20 years ago, these three simple concepts help to begin one’s journey of recovery. Kabat-Zinn, J. “Full Catastrophe Living.” (1990). Dell Publishing. NY: NY. Sadly, Dr. Marlatt died suddenly in March 2011.